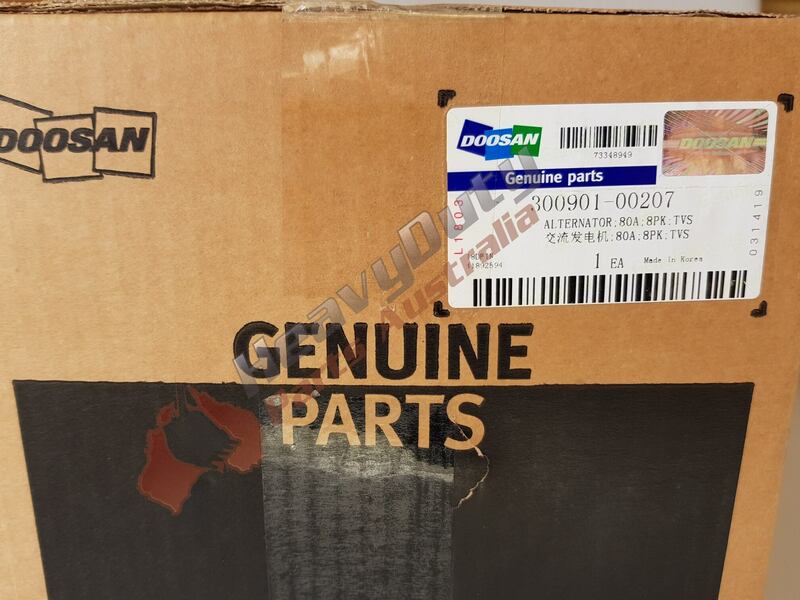 Supplied new genuine Doosan 300901-00207 Alternator. This Doosan 300901-00207 Alternator is to suit a variety of Doosan Excavator’s & Loader’s, including these models; DX225LC (DTC), DX140LC, DX180LC, DX140LC, DX255LC, DX225LC (DL06 ENGINE, DX140W, DL300 as well as Forestry Machines DX300LL & DX225LL. 300901-00207 is the replacement part numbers for 300901-00033 & K1010703.